Practical Tree Care & Landscaping - Driveways/Patios/Paths, Fencing/Gates, Landscaper , Tree Surgeon based in Dartford, Kent. 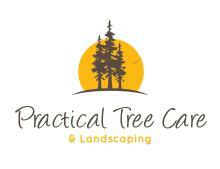 Practical tree care and Landscapes is a family run business and we take pride in the work we carry out. We accommodate services to both domestic and commercial clients. Our work is guaranteed and insured and we will always aim for consumer satisfaction. We are specialized within our trade. If you are interested in any of our services or simply would like to enquire please do not hesitate to phone us on 01322 800394 or 07453308897 for a free estimate. We guarantee to give you the best price & deliver a project which you will highly love and recommend to others! All of our landscape / garden related projects are carried out with love & passion!